My friend Swami definitely does not believe that he is ‘average’. Some study said that 9 out of 10 people believe that they are above average. Which means that the average belief is that ‘I am above average’. This comes to the fore during performance appraisals in companies. Atleast 70% of the people are supposed to get an ‘average’ rating. And almost all of them turn out to be unhappy. So leaders try to convince people that the ‘average’ rating actually means ‘solid performers’ and is not that bad. But that doesn’t help. If the average guy gets a ‘solid performer’ rating, the ‘solid performer’ rating becomes average. Which nobody is willing to accept, and which leads to 90% of the people getting disappointed. The average is not acceptable. This often leads to pursuit of the above average. Which is not all that bad when it comes to improving your lives and your careers. But the problem is that the definition of what is average keeps changing every year. What worked this year for you and gave you an ‘above average’ may be replicated by everyone else next year, and become the ‘new average’ – necessitating a new measure for what is ‘above average’ for this year. Another possibility is that everyone had a great year but someone had a better great year, so relatively your great is only average. Or that everyone had a pathetic year, but relatively your pathetic was better than most other ‘pathetics’. And then add the subjective parts on ‘how you became above average’ or ‘process above results’ kind of argument. And the politics, And luck. And whatever else. Net net, it is a tough thing even in well defined environments to beat averages. And even tougher to predict who will do it this year or next year or for the next 5 or 10 years. But most people believe in themselves and still want to take a shot at it. Which may not be bad for progress or development, but for investing, things are different. Even in investing, no one wants to be average, and no one – whether it is the average retail, fund manager or institutional investor – wants to believe they are average. This is even more so in the case of individual investors. That’s the reason so many individuals pick stocks directly and so few adopt the mutual fund route. And even within mutual funds, so few adopt index funds. And there thrives a full fledged financial services industry. In pursuit of beating the average. Maybe in corporate or other spheres of activity, one may find a way to beat the average consistently. But to do so in financial services where the average is the index is a truly herculean task. And to do so over all periods of time consistently over years is almost a statistical impossibility. Not impossible by any means, but not easy. And even tougher is being able to say in advance who will beat the average. There are very few ‘Sachin Tendulkars’ who start with great expectations and end up meeting or even beating all of them after 20 years in this game. Hence, honestly, for the average guy in pursuit of financial independence, it is fruitless to try being ‘above average’ or even to keep searching for the ‘above average’ performer. The real reason for it is generally that he is no good at it and he has far better competition that keeps trying harder all the time. Even most of them don’t stand a chance of being above average over long periods of time, so let alone the average guy. Moreover, even if he is good, it is emotionally draining and psychologically testing. And eventually, the risk of not beating the average and hence not being able to reach his goals are higher and not worth the risk. At the end of the day, the average guy is really not interested in beating the market, but in being financially free. So why have this fruitless pursuit of trying the beat the average? 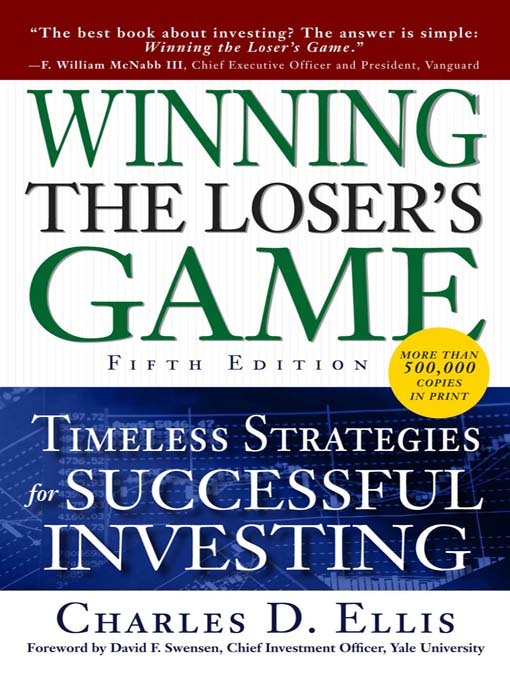 It is likely to be far better if he focuses his energies on playing a long innings and just being there, regularly investing as per his asset allocation, preferably in an index (‘Average’) fund, for 20 or 25 years, than pursue ‘above average’ performance and keep shifting – whether it is individual stocks or actively managed mutual funds – all the time. ‘This is not easy to get. And even tougher to implement’ said my broker friend Jigneshbhai. ‘But I am not the average guy! and why should I be happy with average?’ asked Swami.